Despite gains in battery life and durability, Suunto's sporty aesthetics and software shortcomings mean this won't be a product for everyone. The smartwatch and fitness band markets may have started off in very different places but recent years have seen the two become more and more tangled up in one another’s business. Recent offerings from tech companies like Apple and Samsung have it pretty clear that they’re going after the kind of active and fitness-aware customer that’s traditionally been the domain of brands like Fitbit and Garmin. Of course, those brands in turn are now also pinching g more and more of the features usually reserved for full-blown smartwatches into their fitness bands. The line between the two categories is getting more and more blurry - and it’s unclear which side will be left standing. Regardless, if products like Suunto’s new Spartan Trainer Wrist HR are anything to go by, it’s clear that customers will likely win out regardless. 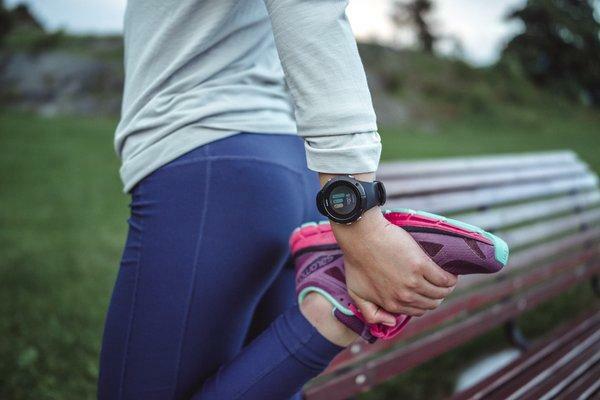 A slim, lightweight and compact multisport GPS watch for “active sports enthusiasts”, The Spartan Trainer HR is a smaller in size than its predecessors, yet Suunto say it delivers more versatile training features and daily activity tracking than ever. Positioned as something that blends together the best of both the smartwatch and fitness band, it’s as much a product as it is a declaration. The Spartan Trainer HR says that not only is Suunto a brand that can do it all - but also one that can do it better both the energetic startups and the polished titans of industry who are fighting for the same kind of customer.